Download the full code on GitHub! Please note, that of all the movements defined by the Direction enumeration, the SENTIN3L does not not use Left_Backward and Right_Backward , while Left_Forward and Right_Forward simply means turn left on the spot and turn right on the spot. Now, to program the sentin3l to walk, we need to add the task that drives the two Ev3 Large Motors according to the command received by the Ev3 IR Sensor. Before doing that, let’s add an angular position PID regulator for each leg (see here for a PID -proportional integrative derivative- regulator description). Download the code from GitHub and try by yourself! And don’t forget to rate this post! Thank you! I’m a Mac user too, so I think I can try to help you. 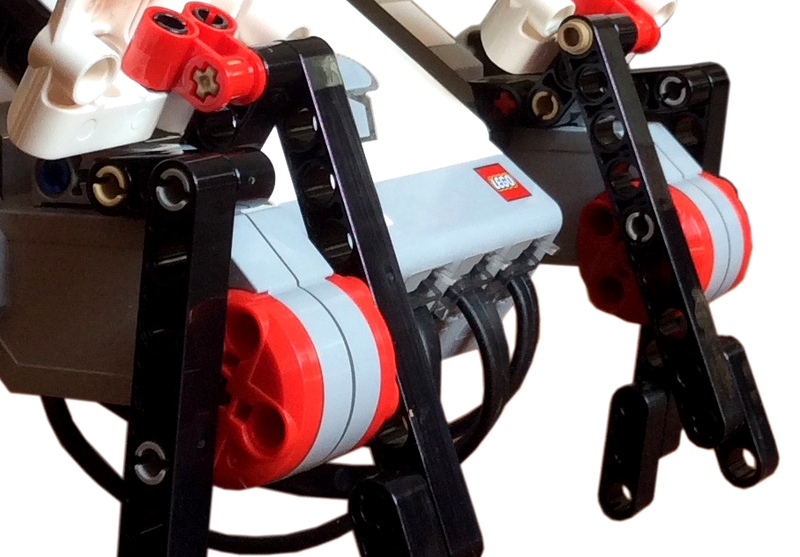 What tool did you use to program the Lego Mindstorms Ev3 so far? Can we add more command? If you need help, please ask! Drive the Formula Ev3 with the IR Remote! Hello, Part 3 of the Sup3r Car Program is now online! Check it out, and let me know! In the meanwhile, I’ve finally dismantled the Sup3r Car and I’m already working (playing ?) on another small robot. What is it?